Healthcare quality is an enduring and global concern, evidenced via supranational responses, such as those of the United Nation’s World Health Organization (Ovreveit, 2003, 2005, 2013), the OECD (Arah et al., 2003) and the European Union (Vollaard et al., 2013), as well as the policy responses of individual countries (Arah et al., 2003) and devolved regions (such as the Scottish example considered in this chapter1). 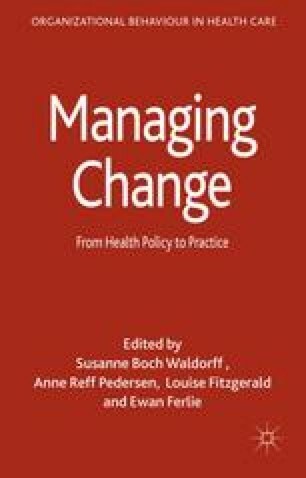 The Institute of Medicine’s seminal report (IOM, 2001; Kohn et al., 2001) led to increasing recognition of the need for a systems focus in managing healthcare quality. However, a European Union (EU)-oriented analysis (Vollaard et al., 2013: 229) notes, ‘There is much variation [in national quality and safety strategies] between and within Member States and that therefore there is a large potential to learn from each other.’ In this chapter, we follow Ovreveit and Staines (2007) in purposively analysing an established system-wide approach to quality improvement. We consider the evolution of the policy process in Scotland — rather than evaluating its impact — and ensuing lessons for other contexts. Healthcare Environment Inspectorate (2013) Available form: http://www.healthcareimprovementscotland.org [Accessed November 19, 2013]. Scottish Patient Safety Programme (2013) Available from: http://www.scottishpatientsafetyprogramme.scot.nhs.uk [Accessed November 19, 2013].